An island with lush forest covers, trimmed with fine white sand and a crown of gleaming blue waters—Siargao is indeed another gem in the Pearl of the Orient that both surfers and beach bums dream about. 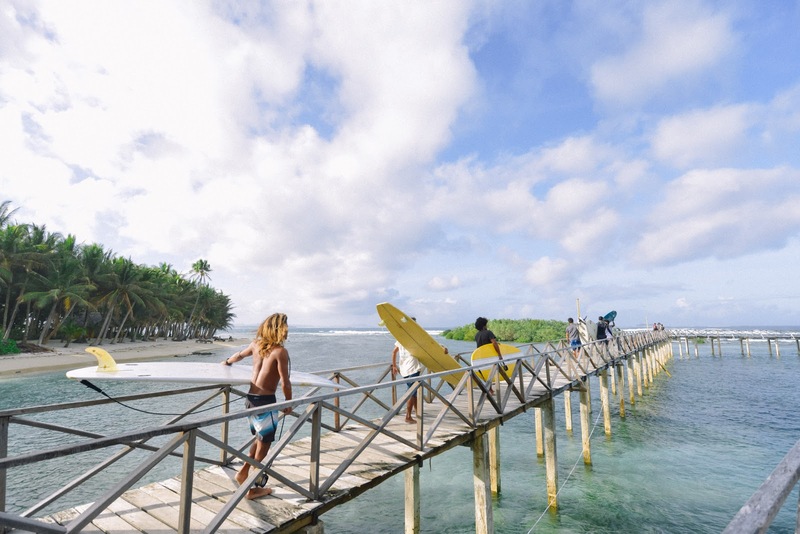 And as more travelers chase the breathtaking giant waves of Siargao, this island paradise becomes more within reach with Cebu Pacific’s special additional flights to the Surfing Capital of the Philippines. Starting December 17, 2017, up until March 24, 2018, the Philippines’ leading carrier will be flying direct between Manila and Siargao, six times a week. For as low as PHP2,370, vacationers from the country’s capital may leave the hustle and bustle of the Metro and fly in to Siargao’s haven of cozy resorts and warm and hospital locals. Perfect for backpackers and adventure enthusiasts, the island of Siargao boasts of exciting roads that lead to many different spots for a quick dip, snorkeling, sight-seeing and world-class surfing. Traveler favorites are the famed Cloud 9 and General Luna, where beginners learn to paddle then stand on a board, and pro-surfers get to hang ten. The island also boasts of an effervescent food scene and night life, enriched by the fusion of local and foreign influences. With fresh catch of seafood and baskets of fruits readily available in the destination and the positive outlook in the community, Siargao serves the most delectable and satisfying experience from dusk to dawn. “There is a clear surge of interest in Siargao, and we’ve seen its great potential for tourism since we began offering flights in 2009. With our special direct Manila-Siargao flights, we are positive that more tourists will discover what Siargao has to offer. Cebu Pacific is glad to make it easier for everyJuan to visit this dreamy island paradise more often, where surfing and sustainable living are a way of life,” says Alexander Lao, President and CEO of Cebgo. Discover the mesmerizing beauty of Siargao, the elusive coast for surfers and beach lovers, by flying in with Cebu Pacific. Checking in sports equipment like surf-boards are also available in these flights, and can be added to flight bookings up to four hours before scheduled times of departure. For more information on the most convenient flights to Siargao, visit www.cebupacificair.com/.